Note: Wishpond has recently removed our Facebook Ads tool. Click here to learn more about our new, free, lead generation platform. Do you want to run Facebook Ads but are having a hard time understanding the jargon and complexities and wish there were an easier tool? Then let’s explore Wishpond’s newly released Facebook Ad tool. This article will give you a straightforward tutorial of the tool. I’ll break down why Facebook Ads work, help you optimize your Ad creative, discuss targeting, and delve into Ad performance. I’ll also offer three of our most recent Facebook ad case studies (including two that are still running). And I’ll answer five of the most frequently-asked Facebook Ad questions to give you the full picture. Did you know Wishpond’s Facebook Ad Tool can target your ads for you based on conversions? Did you know Wishpond’s Facebook Ads are seeing click-through-rates of .9% and higher? Why should I use Wishpond’s Ads tool? Facebook Ads can yield great results, but sometimes it seems like you need an army of advertising experts to get them running smoothly and converting well. The Wishpond Ad Tool is built to make it as easy as possible for small businesses. Drive even more traffic to your contest or landing page on a pay per click basis. Let’s see how it works. After clicking ‘Create a Facebook Ad’ within the Wishpond Ad Tool, you’ll need to decide the destination for your Facebook Ad. If you haven’t created a contestwith Wishpond yet, you’ll have to do that before you can advertise it. To advertise your existing website landing page, simply supply the URL in the box provided. 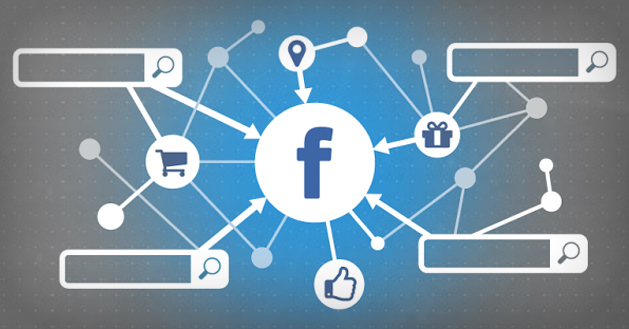 The appearance of your Facebook Ad is hugely influential on your click-through-rates. Headline, body copy, and the image you choose can make or break your whole ad campaign. So let’s make sure you get it right. Your Ad Headline and and Body Copy are what increase your Facebook Ad’s click-through-rate. It’s where you use a great Value Proposition and encourage people to find out more. If you want to find out more about optimizing your Facebook Ad text, read my article How to A/B Split Test your Facebook Ads to Maximize ROI. For more on value propositions, read 7 Value Proposition Formulas to Boost Conversion on Ads and Landing Pages. If your Facebook Ad headline and body copy are what increases your click-through-rates, your image is what catches the Facebook user’s eye in the first place. I highly recommend you use color that stands out against the blue and white of the Facebook news feed. And remember, Facebook best practices state image size be around 1200 x 600 pixels, but I’ve found as long as you’re at least 144 x 72 you’ll be okay. Use your own judgment (and the Wishpond Ads preview) to be sure your image looks clear and appealing. Want to be sure you’re optimizing your Facebook Ad images for click-through-rates and conversions? Read my article 6 Facebook Ad Image Best Practices that will Send your Click-Through-Rates to the Moon. A dedicated team of Facebook ad experts tap into the Facebook Ads API. We are constantly sifting through your ad’s data and Facebook user demographic details to optimize your ads over time. See case studies below to see if it’s working. Wishpond and Facebook can’t let you target two specific cities within two different countries (both New York and London for instance). You’ll have to create two different advertisements or campaigns to do so. Remember Facebook Ad CTR is calculated by dividing Clicks by Views. A CTR of .1% is not necessarily fantastic, if only 400 people saw your ad. Whereas a CTR of .03% is awesome if 4000 people saw your ad. Click the ‘Interests’ box to open the Precise Interest and Broad Category targeting. I’ve found Precise Interest targeting to be extremely useful for targeting to niche markets (like SEO, A/B Testing and PR or rock climbing, fashion and specific job title). Broad Category targeting is better for targeting parents, couples, and brand loyalties. If you want to find out more about targeting your Facebook Ad, read my article How to Create a Targeted Facebook Ad Audience. Wishpond’s Ad Tool allows you to import your business’ contacts from email, phone numbers, CRM tool and MailChimp or SalesForceaccounts. We’ll also be releasing the ‘Audience Lookalike’ tool in the next couple weeks. This will match your existing contact list with similar Facebook users - giving you a list of people with the same demographics and interests, optimized for conversions. For more information about custom and lookalike audiences, read my article How to Target Facebook Ads Based on Custom Audience. The daily spend you’ve budgeted for your Facebook Ad will depend entirely on your business. Helpfully, Wishpond has provided an estimated daily Clicks metric to give you some idea of what you’re going to get with the Reach you’ve set (based on targeting) and the money you’ve allocated. What you’re seeing above is the approximated number of ad clicks per day you’ll get with a 5 dollar daily spend - provided you’re targeting all of the United States. If you were to increase the daily spend of your ad per day to, say, 20 dollars, your clicks would jump up to 20-45. 50 dollars? You’re looking at more than 100 clicks per day. Oh, and remember you’re not spending anything with Wishpond that you don’t use. If you put a daily spend of $20 but only use 10 that day you’ll only be charged 10. Cool huh? In order to get the most out your money, do some research and optimize your Facebook Ads with the best practices of targeting, tracking, choosing your ad image and combating ad fatigue as well as understanding your ad performance. Wishpond’s Ad tool has simplified Facebook advertising - giving you only the metrics you need, and none of the metrics you don’t. Below is a hypothetical Ads Summary. It’s the aggregate results from all the ads you’ve run. This summary makes sense for a group of ads with solid performance - something you can achieve provided you’re targeting well, optimizing your images and copy, and providing a likeable prize. If you want more information about Facebook Ad and landing page integration I’d recommend 4 Ways to Create Facebook Ad and Landing Page Combos to Maximize Conversions. For information about Facebook metrics and why you should pay attention or ignore them, take a look at 6 Facebook Metrics Small Businesses Shouldn’t Obsess Over. Below your Ads Summary and graph you’ll see all the Facebok Ads you’ve created with their individual performances - as well as their status (Draft, Live, or Complete). The ability to see them as a group makes it quick and easy to compare and run A/B or Split tests. A/B testing is far more simple than you’d ever thought, and more powerful than you’ve ever imagined. If you want to find out more head over to my most recent article, How to A/B Split Test your Facebook Ads to Maximize ROI. A Total Ad Spend of only 65 dollars. Their total spend? About 70 bucks. 3. Arena Festival 2014 , a huge dance festival in Mexico, is running a Facebook Ad in the US, Mexico, Israel, Spain and Brazil. They’ve got 4,200 clicks (in just three days!). Total spend? Less than 75 dollars. 1. Why isn’t my Ad performing as well as I think it should be? 2. What are some copy-writing best practices? 3. What are some ad image best practices? 4. Should I create more than one Facebook Ad for my contest or product? Yes. You can never be 100% sure what your audience will respond to. Creating more than one advertisement (and splitting your ad budget between them) allows you to observe what images, titles and copy your audience responds best to. This helps you optimize your later campaigns as well as use your ad budget intelligently. 5. Why can’t I see my webpage conversions in the Wishpond Ad Performance Dashboard? Currently, Wishpond is only showing the conversion rates of Wishpond contest landing pages - your business’ website landing page conversions won’t appear. However, we do have a conversion tracking pixel in beta at the moment, and will be releasing it momentarily. So watch out! Hopefully you now have the confidence to build your own Facebook Ad, and (if you want) even the ability to target it for yourself. Remember to do your research before diving into Facebook Ads, as they can be a tricky creature. The returns can be awesome, but make sure you’re not throwing money away in the wrong direction. Have you had any successes with Wishpond’s new ad tool? Or do you have any questions? Start the conversation below!